Corstorphine + Wright has received planning consent for two new buildings in Birmingham, adding to the city’s ongoing regeneration. The consents are also a strong indication that Birmingham’s previously reserved attitude towards allowing delivery of tall buildings within the city may be softening in line with growing requirements and the city’s own aspirations. Lunar Rise, named in honour of the city’s renowned 19th Century Lunar Society, will feature a combination of 518 one- two- and three-bed apartments, with ground floor retail units and on-site provision for 154 cars and secure cycle storage. Featuring a 25-storey tower and two 10-storey blocks, Lunar Rise will occupy a site on the corner of Digbeth High Street and Clyde Street in the city suburb of Digbeth. Corstorphine + Wright has designed Lunar Rise on behalf of Prosperous Global China Capital in its first proposed UK development. 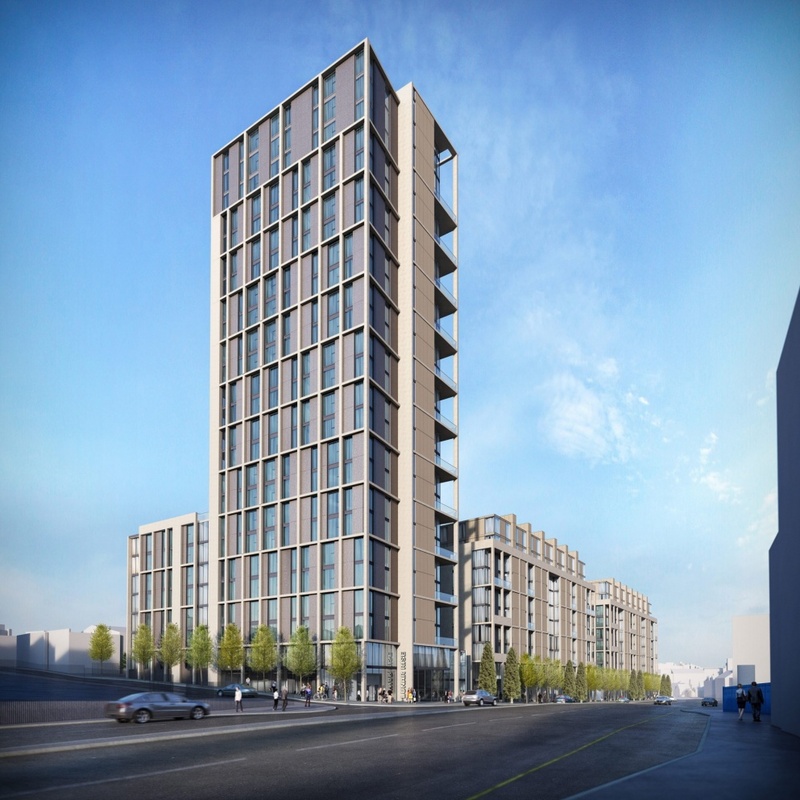 The practice has also received consent for the £18 million Bishopsgate Street, a student residential scheme being brought forward by Court Collaboration. The site of the former Birmingham Nautical Club on the corner of Communication Row will be cleared to enable delivery of the 15-storey building which will include 290 student flats, along with a rooftop social space, shared garden and ground floor retail. 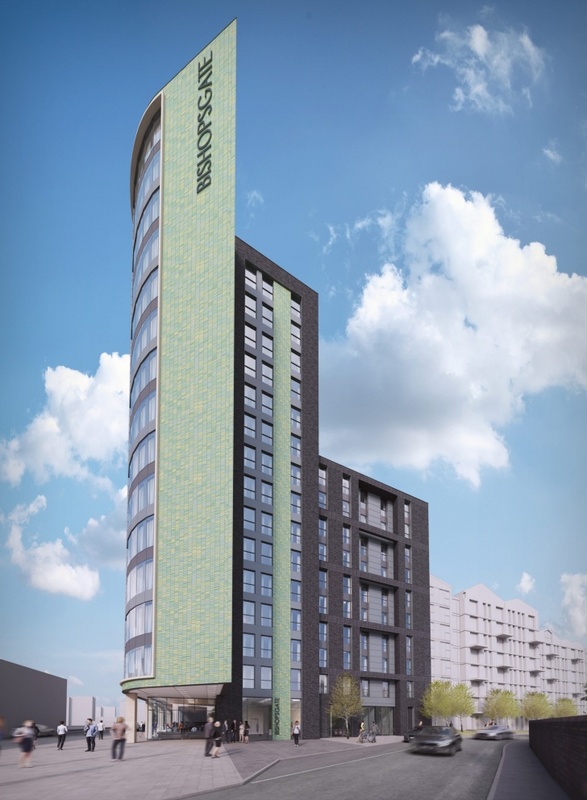 “These are two significant developments and we are particularly pleased that, as a 25-storey building, Lunar Rise has been accepted by the Council’s planning team. This will be a significant landmark within Digbeth and hopefully act as a catalyst for the further regeneration of one of the city’s most characterful areas. “This is part of a wider development narrative in Birmingham, with the city’s Planning Committee taking a more relaxed but still considered view on the placement of tall buildings. Birmingham City Council has also recently consented for the delivery of two residential towers, of 42 and 31 storeys respectively, fronting Broad Street, which speaks to the city’s growing need for more high quality city centre accommodation. 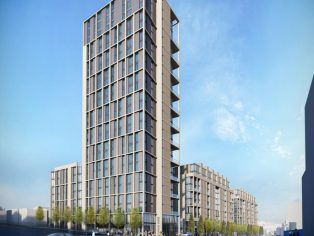 Corstorphine + Wright has also delivered designs for Birmingham’s first PRS development at Pershore Street, and Dandara’s residential buildings at Arena Central, which are currently under construction. A leading national architectural practice with offices in Warwick, London, Birmingham Manchester, Canterbury, Glasgow and Dublin, Corstorphine + Wright marries over 35 years of professional experience with cutting edge technologies to produce design solutions that enhance the built environment, transform cities and communities.